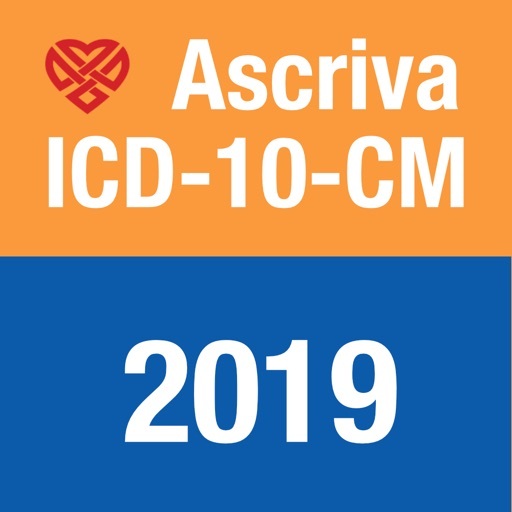 Use the Ascriva Health Informatics ICD-10-CM-2019 app for iPhone and iPad to quickly find codes in the 2019 version of ICD-10-CM (valid from October 1, 2018 until September 30, 2019). 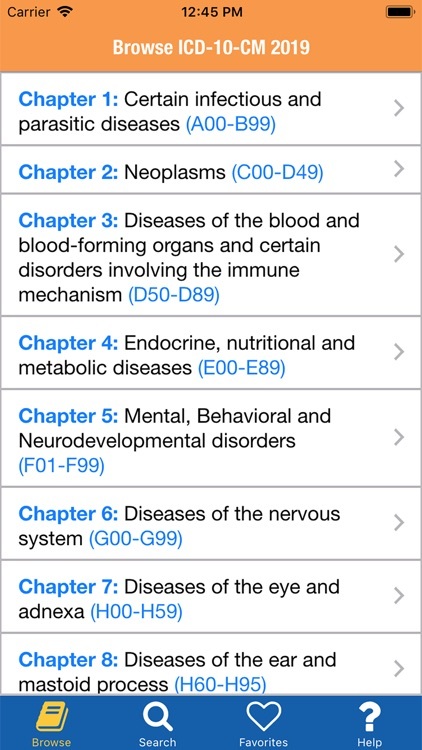 • Quickly browse through ICD-10-CM Chapters, Sections, Blocks and Codes to find the code(s) that you need. Billable and non-billable codes are clearly distinguished. • Use our powerful search engine to rapidly find the code(s) that you need. 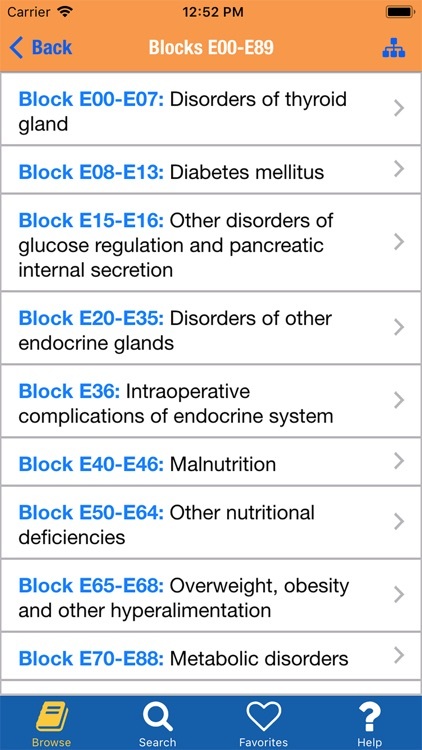 The app contains a database of over 100,000 codes, medical synonym and acronyms. • The app's search engine automatically translates many commonly used medical words and acronyms to the terms used by ICD-10-CM, e.g. "Cancer" translates to 'Neoplasm"; "UTI" translates to "Urinary Tract Infection", Shingles translates to various "Zoster" codes. • No advertisements or in-app purchases required to gain complete access to all app features. 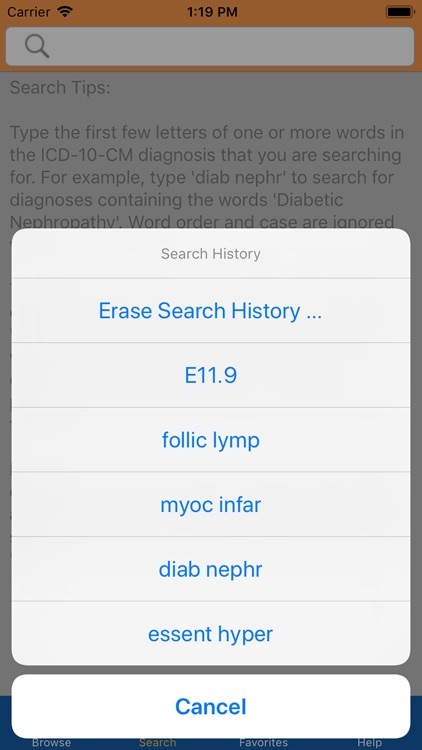 • Search using just the first few characters of one or more words in the codes that you are looking for. Word order, capitalization and punctuation are ignored., e.g. 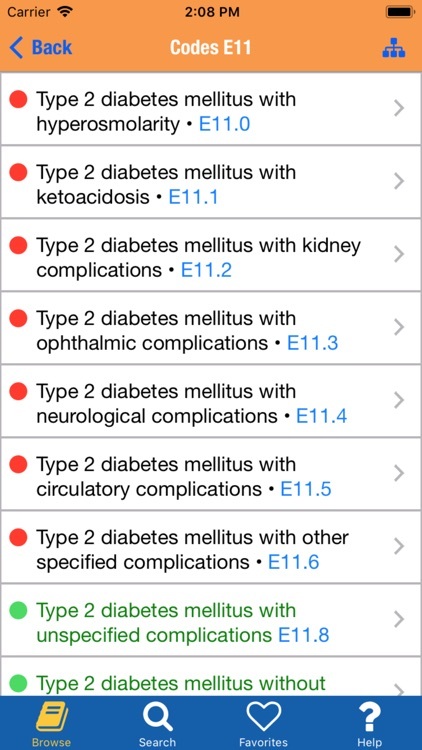 "neph diab" translates to all codes containing 'Diabetic Nephropathy". 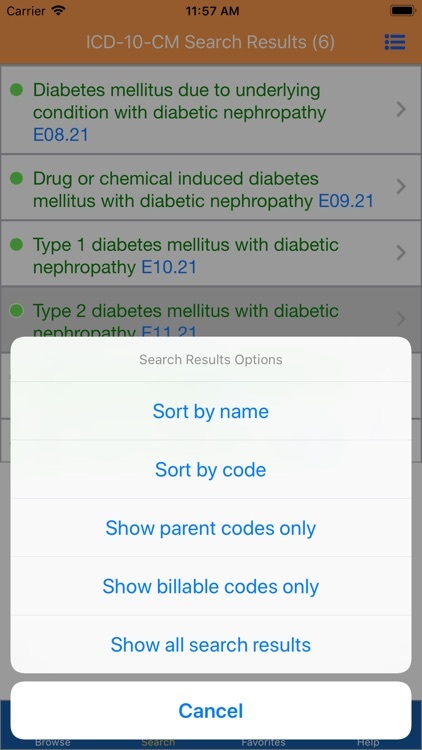 • Includes a deep search mode if the default search fails to find the codes that you seek. 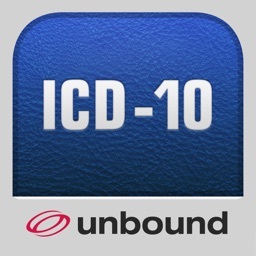 • Reverse code searches are supported: enter all or part of the ICD-10-CM code (e.g. E11.21) and quickly find a match. • Includes a code search history list. 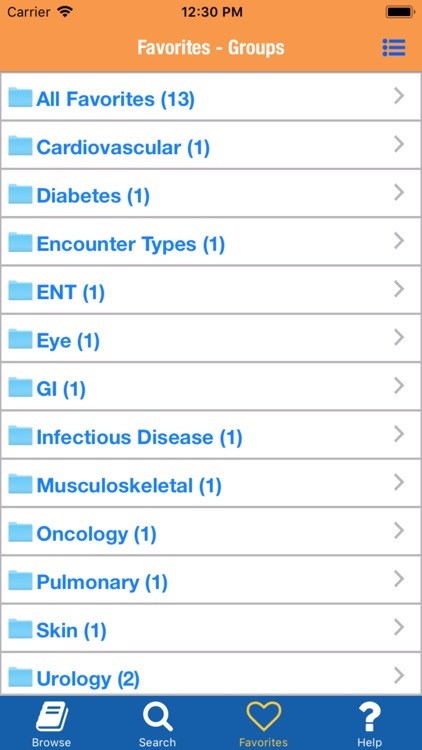 Select a saved query from the history list and it is inserted into the search field, ready for editing or searching. You can clear the search history list at any time. 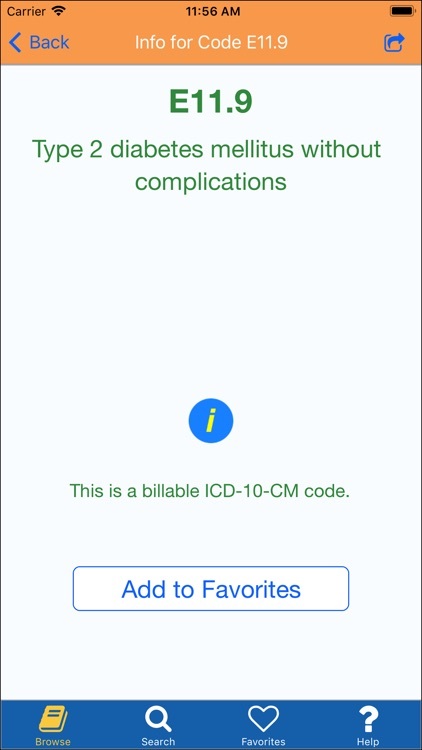 • Billable codes can be easily saved to a Favorites Library within the app. You can organize your Favorites into an unlimited number of named groups. • Create new Favorites groups; rename existing groups; delete groups; edit groups and copy codes between groups. • Quickly search all saved Favorites. 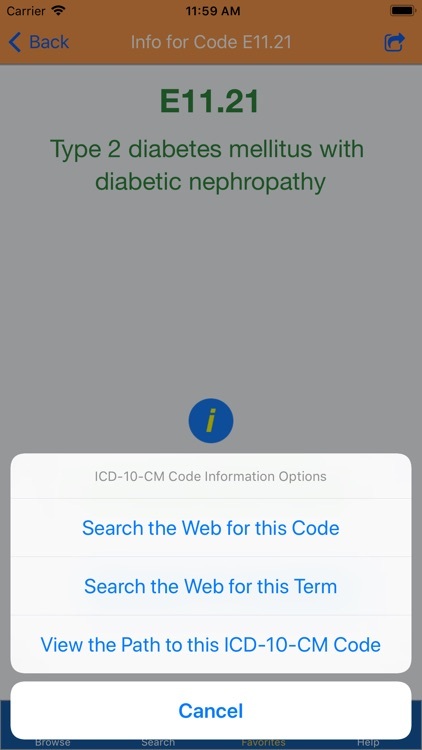 • Automatically search the Web for additional information about an ICD-10-CM code or ICD-10-CM diagnosis. • Share codes using Airdrop, Mail, iMessage, Notes, iCloud or paste into other apps. 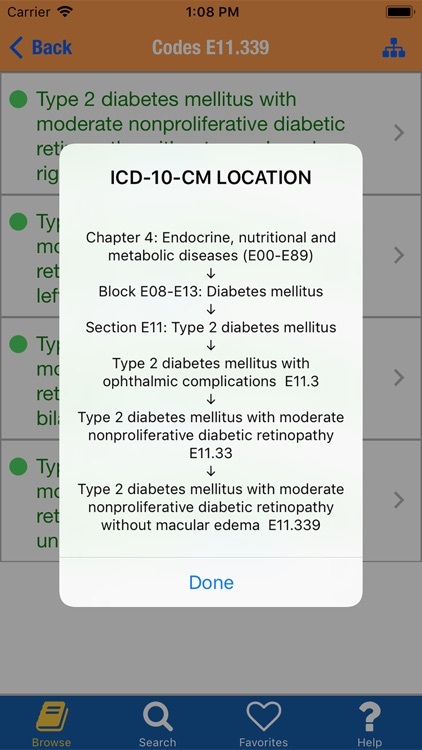 • Share an entire Favorites library using AirDrop or iTunes File Sharing with the ICD-10-CM-2019 app running on other iOS devices. 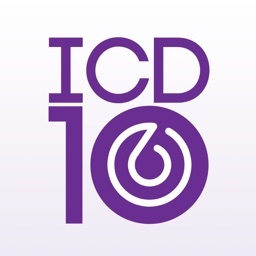 • View the path to any billable code within the ICD-10-CM hierarchy. 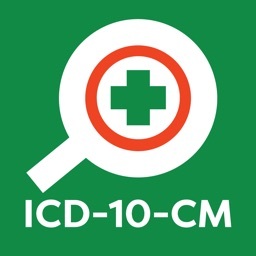 This feature helps you understand how ICD-10-CM is structured. • The app contains a built-in Quick Start guide. 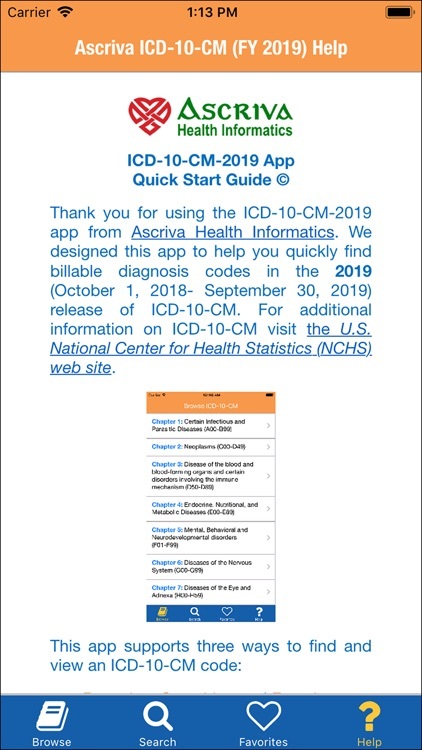 • ICD-10-CM-2019 is a Universal App that will run on both iPhone and iPad. • Supports both landscape and portrait viewing on iPhone and iPad. Eurofield Information Solutions Pty. Ltd.